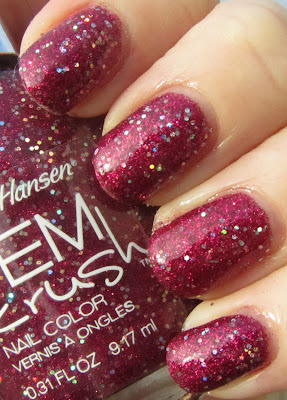 Today I want to share with you all one of the Sally Hansen Gem Crush polishes I picked up the other day. This is the gorgeous Lady Luck. 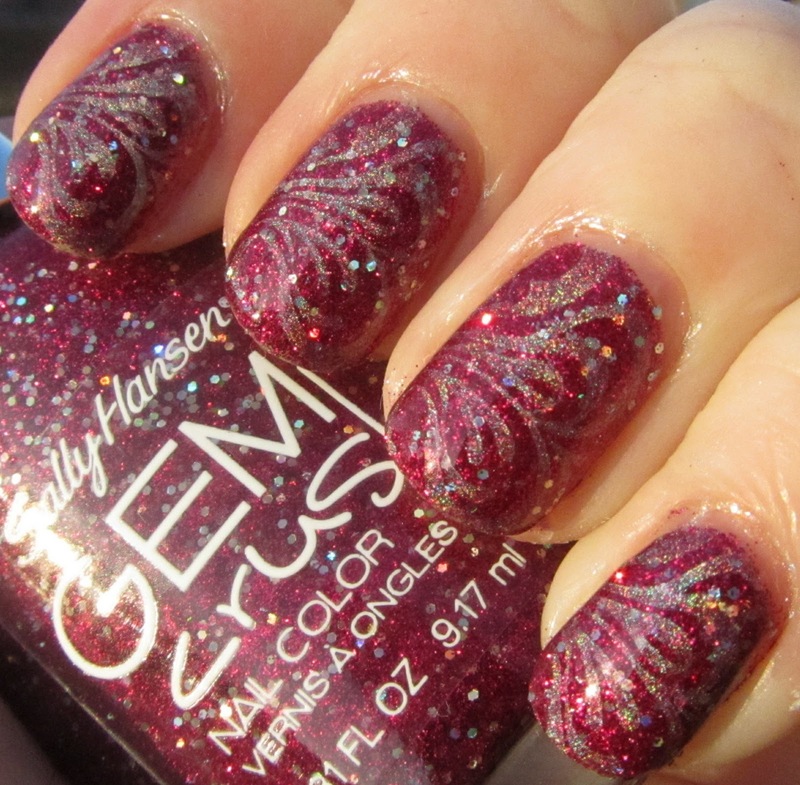 Lady Luck is a clear base with small magenta microglitter as well as larger holographic hex silver glitter. It is a bit sheer and took three coats to achieve full opacity. I love this polish! It is super gorgeous and sparkly, both in sun/direct light as well as in the shade. I added a bit of stamping using China Glaze OMG and plate m63 for some holo swirls. This actually wasn't all that bad to remove either, which was really nice. It was a touch bumpy so I added two coats of top coat for a smooth finish. Overall totally in love with this one. Here is a swatch of Lady Luck all by herself. I love this mani. IT looks absolutely gorgeous! I have the Big Money one from this collection.. I love it.. This color looks gorgeous too!